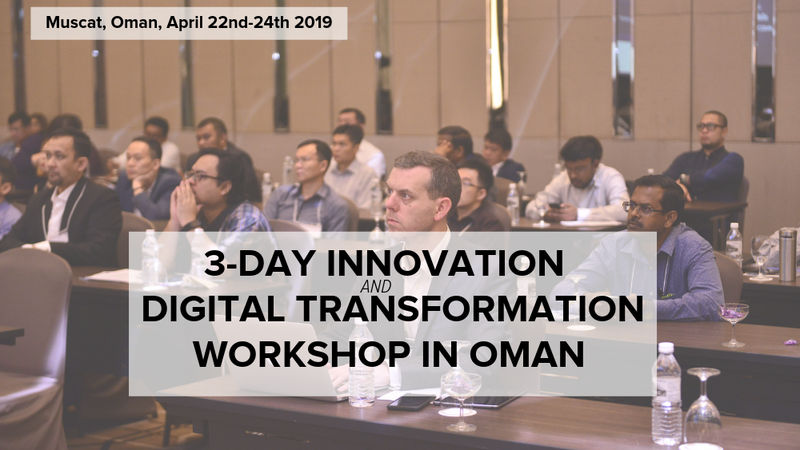 From April 22nd – April 24th 2019, Warren Knight will be facilitating a 3 day workshop in Oman, the title of the workshop is Innovation & Digital Transformation. This course provides delegates with an excellent overview of how digital is transforming our society, especially when it comes to careers and businesses. The programme is designed to help business leaders to navigate innovation in the digital age while maximising growth opportunities and overcoming potential challenges and threats. Within a fast-paced environment like the one we currently live in, it is crucial to understand the latest innovative technology trends in order to develop new digital leadership skills. Delegates will learn how to effectively innovate and be part of the digital transformation revolution as they put their leadership skills into practice to create their own internal and external digital innovation projects throughout the course. They will gain the necessary tools and techniques to be able to analyse case studies, develop digital transformation plans and various interactive group exercises.